3 Out Of 5 Startup App Development Ideas Fail- The Possible Reason? There are contrasting views when we talk on ‘how to make your startup grow and flourish’. All startupreneurs and small business owners want to know what has worked for startup giants like Uber, Airbnb, Snapchat, Xiaomi etc. and ignore what hasn’t. But the way a majority of startups use their knowledge about success is pretty broad-stroke. They scan a few data resources, read some success stories and jump start their journey, hoping that the business will bring ROI. Well, is that the proper way out to kickstart your valuable startup app development idea? Why Is It Tough for Startups to Hire the Right Mobile App Developer? What if we could forecast if the startup idea is worth taking the risk- and how well they can perform in the upcoming days? I think we could predict performance- If we learn from ‘mistakes’ and follow some important key metrics to score more on startup app development success board. So, if you too are about to kickstart your startup idea, your ultimate goal must be to survive and then rule. Let’s find out the mistakes to avoid and the best ways to survival! Missed Doing A Market Research? You Are In Trouble! In the past 10 years of Google Play Store and Apple’s iOS store, there has been a humongous amount of app launches. People connect with mobile apps for everything- grocery shopping, paying bills, ordering food and whatever they can think of. So the mobile presence of your business is important. Now the question is, who will be your audience? What does your business serve? Does your app have competitors in the market? Lack of proper market research is quite unsafe for your startup. What if the idea you have has no takers in the market? 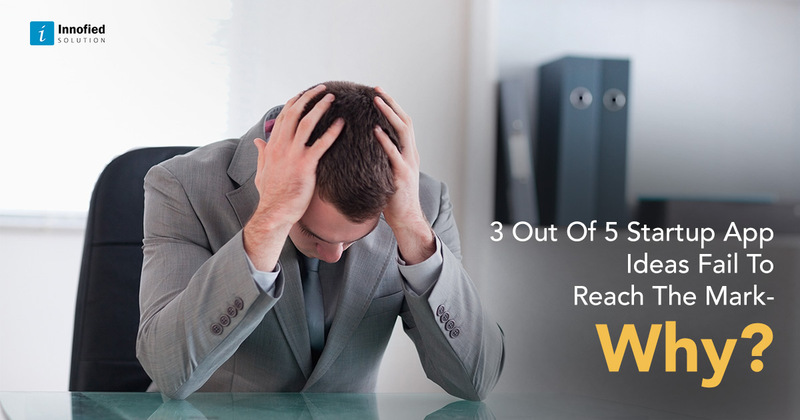 You might end up shutting down your business with huge investments loses. One such example is the startup ‘Remember’. It has to shut down in the year 2013, one year within the launch. The reason behind? The product had no customers in the market. They didn’t really find anything interesting or useful! So, set apart your audience and check whether your idea has valid customers. Your startup app idea must solve problems. And as you get those solved, you do business. Simple as that! It has to be the primary purpose of your app. Now, how to find what customers demand or like? How do you find if the product will be viral? Here’s how minimum viable product or MVP comes to rescue you. It will allow you to gather, slice and dice user data, so it won’t gets hard for your to identify your potential set of users. And even if your idea has takers. ‘Create something that people want’– that’s the only success mantra to make your startup work! 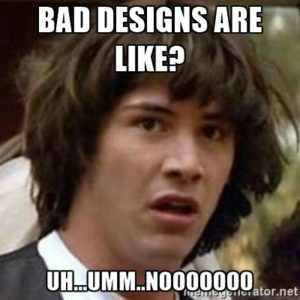 Bad Designs Can Fail You Right Away! Where Do You Stand? Starting from the flow of screens, navigation features and product image positions- everything comes under design. I’ve heard different startup entrepreneurs talk about focusing on a ‘basic’ app design they develop an app. Think yourself. Can this basic designing will generate a positive feedback from your user? No. Design or specifically the UI/UX of an app is just not about how the app looks. It enhances user experience as a whole. One of a startup I know of was convinced that a simple app design focusing more on the backend of the app will be enough. But the user experience of the app came out to be disastrous. It was not easy to use, with bad icons and pain to eyes! So, before you get on board with startup app development, know the 6 awful UX designs to avoid. Is Your Startup App Marketing Strategy On Point? It’s obvious that you are in the startup game to earn moolah. However, marketing activities are often neglected. Developing an app without a solid marketing strategy might end up ruining your entire hard work. Besides this, companies involve marketing team much later in the product development process. This is dangerous! Without marketing your idea, how will you find out the USP of your app product? Marketing is equally required to optimize your app for different app stores. So, what’s your plan for app startup marketing? Let me help you. Related Read: Do You Know How These 3 Indian Startup Superbrands Made It Big With Growth Hacking? Are You Hiring The Right Mobile App Development Company? Are you going for newbies to develop your app? Amateur app development and designing in your app startup business plan cannot surefire you success. For a polished, sleek and cleanly coded app, you need to seek out for the best app development team approved by B2B review site like Clutch. While hiring one from the companies, check out their popular portfolios, and major chances are there that they can be right for you. And above all, don’t guess work. We are living in a world where mobile has marked its presence. And we tend to spend more time on our phones. So, even if you are targeting B2B customers, your business can earn better business with mobile apps. But, a wrong approach to developing your app can even hurt your earnings and can affect brand credibility. Understand the market rules for approval of an app and submission to play store. When you get it done from an awarded mobile app development company, you get additional support even after your app launch. Learn from the mistakes and make your position better in the market.